A bumper crowd was on hand to hear our sizzling summer performances at January’s edition. A selection of the performances is now available for your listening pleasure. Eleven morsels of flash fiction, poetry, memoir, and extracts, each up to five minutes. Tasty! Hear more live, when we pluck the “heart strings” at February’s edition on the 21st! 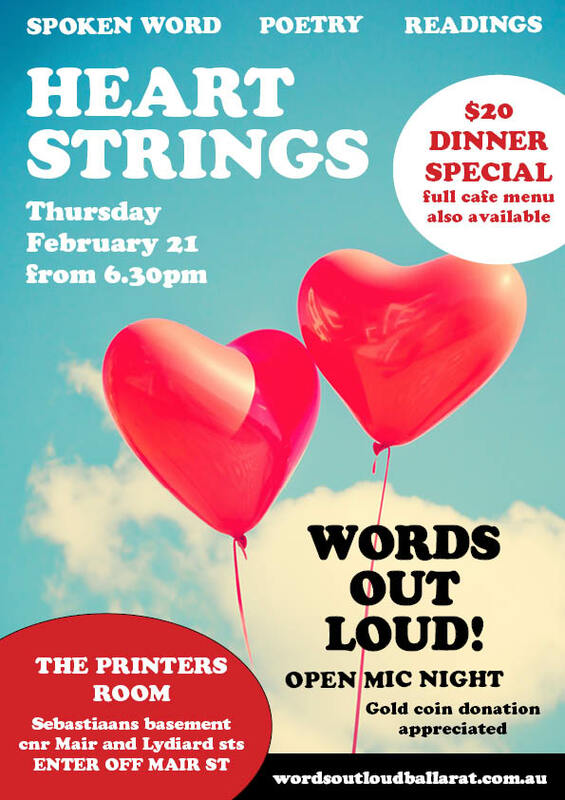 Words Out Loud is sharing its heart in February, no strings attached, with the non-compulsory theme of “heart strings”. Make of that what you will, or ignore it altogether. 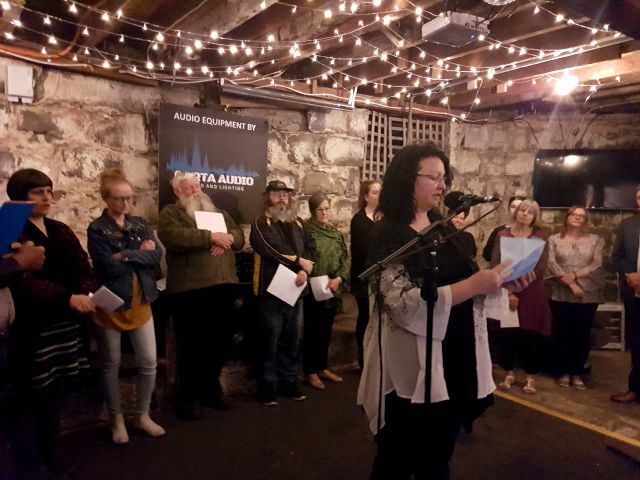 This is a great opportunity to road test new material, celebrate a success or share some inspiration, or simply enjoy a diverse range of spoken word — poetry, prose or storytelling; read or recited; your own work or someone else’s. Performances are limited to 5 minutes each. Sign up on the night. Venue: the Printers Room, in the basement of Sebastiaans at the corner of Mair and Lydiard streets. Enter from Mair. Note: the venue is stair-free. Take in the air in the beer garden. Enjoy the show from couches, the tables or a seat by the bar. Eat and drink: The full menu is available, as well as a $20 two-course meal deal, with bar service. Cost: Free, with a gold coin donation appreciated. Keep in touch: at facebook.com/wordsoutloud or join our mailing list. 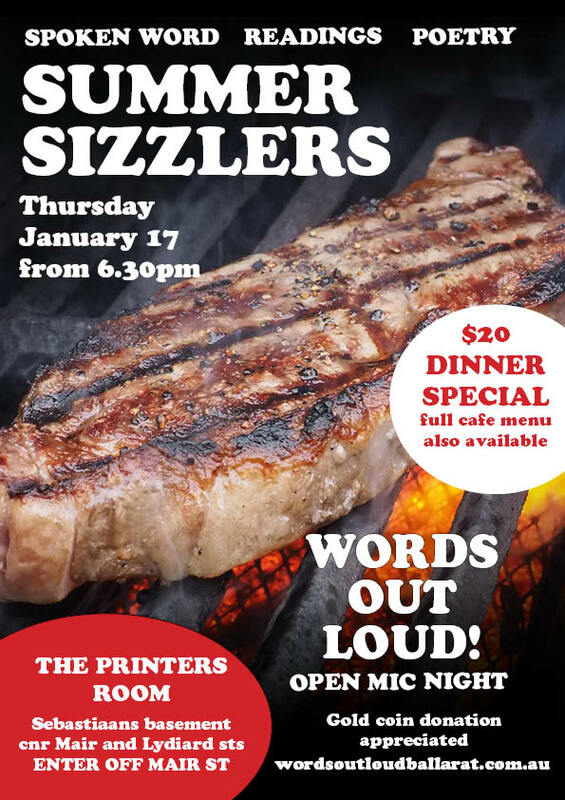 Words Out Loud is making a hot start to 2019 at its January edition, with a non-compulsory theme of “summer sizzlers”. Make of that what you will, or ignore it altogether. As mentioned here previously, November’s edition was a huge night; despite the theme of ‘eroding confidence’ it was a wonderful way to see out the year! You can wrap your ears around a selection of the performances, including a preview of the amazing work by district writers as part of the Weathering the Future exhibition. While the flash fiction and poetry was written in response to works of art, they stand up brilliantly by themselves. So much fun! Have a listen to November’s edition here. Stay tuned for 2019, when we start with a ‘summer sizzle’ on 17 January. 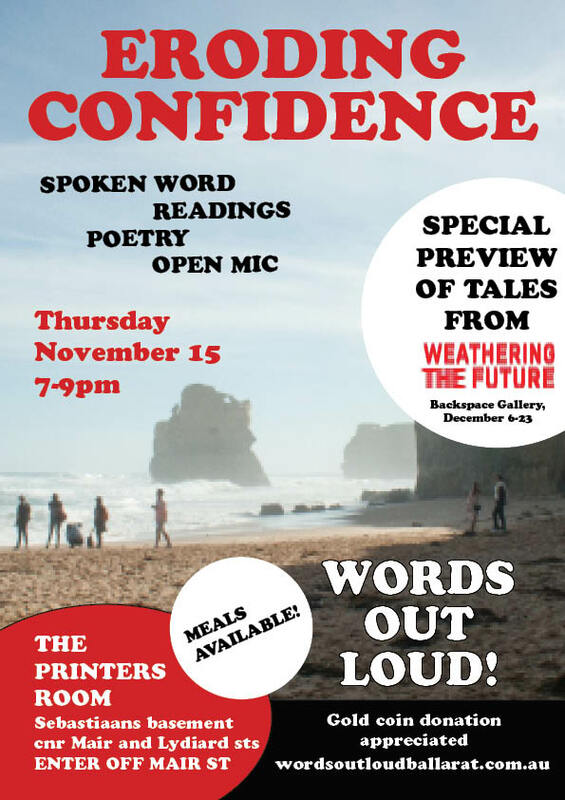 A contingent of Weathering the Future writers at November’s Words Out Loud. What a big finish for a huge year at Words Out Loud! 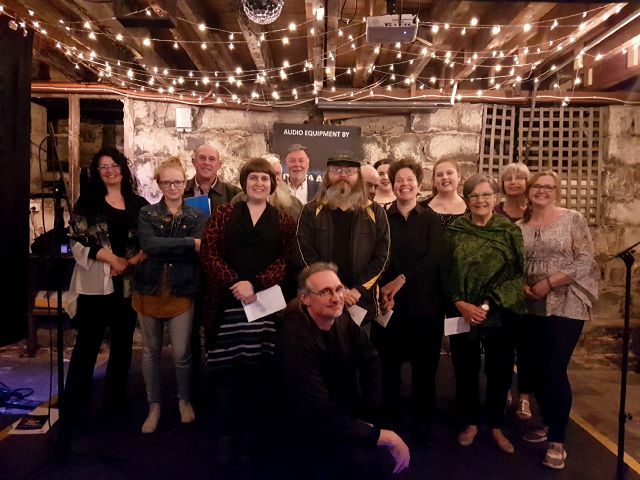 The November edition welcomed a feature presentation by 15 writers from the Weathering the Future art exhibition (at Ballarat’s Backspace Gallery in December), and it set the scene for a cracking night of spoken word. Nineteen performers took the stage, including former Ballarat wordsmith Andrew Sutherland, in from Shanghai. Audio from the night will be uploaded in coming weeks. Thanks to everyone who has supported the event throughout the year, whether as performer or audience. We’ve found a happy home at the Printers Room and we appreciate the support of Nigel and his crew in making the event such a success. Enjoy your summer break — and get those words ready for next year! Words Out Loud returns in January at the Printers Room, every third Thursday barring December. Advance notice: the theme for 17 January is ‘summer sizzlers’ for those who like to play along. It’s gonna be hot! October’s theme was “Follow Your Nose” at Words Out Loud, and what a bumper crowd it was. Our biggest line-up of performers yet! And there was pavlova for dessert. What a great night all round! You can hear a selection on our audio page. Bob McKinnon is on the scent at “Follow Your Nose” in October. Words Out Loud is going out with a slow apocalypse as the year’s program draws to a close. The theme for the night is ‘eroding confidence’ — make of that what you will, or ignore it altogether. As a special treat, the night will feature advance readings of work from the Weathering the Future art exhibition, taking place at Backspace Gallery from December 6 to 23. The official launch is on December 8 — all welcome. Click here for details. Five-minute open mic spots will be available as usual on the night, for poets, writers and storytellers wanting to share their work out loud! The November 15 event will be held at the Printers Room, in the basement of Sebastiaans at the corner of Mair and Lydiard streets. The full menu will be available, as well as a $20 two-course meal deal . Doors open about 6pm if you’d like to dine early. Enter via Mair St. Take in the air in the beer garden. Enjoy the show from couches, the tables or a seat by the bar. Gold coin donation appreciated. Performances begin from 7pm. This is a great opportunity to road test new material, celebrate a success or share some inspiration, or simply enjoy a diverse range of spoken word. Keep in touch at facebook.com/wordsoutloud or join our mailing list. Words Out Loud is grateful for the generous support of Rabbit Poetry journal. Check them out here! 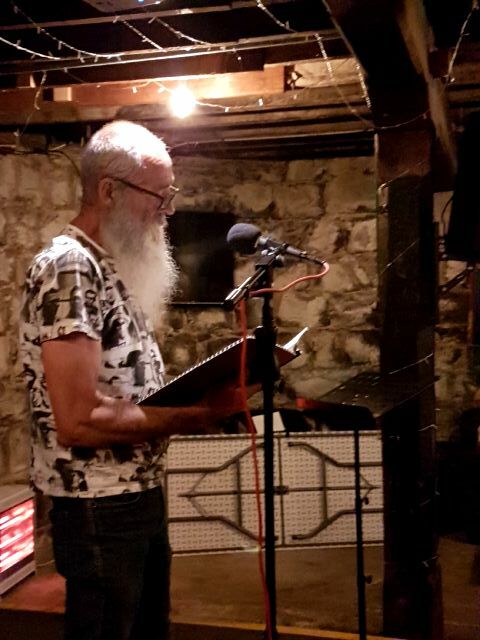 Words Out Loud is generously and warmly hosted by the Printers Room, in the welcoming basement of Sebastiaan's cafe, corner of Lydiard and Mair streets. Enter off Mair – no stairs! The bar and kitchen are open all night. A $20 two-course dinner special is also available. Words Out Loud values its relationship with Ballarat Writers and their support for Central Highlands writers. Words Out Loud acknowledges the Wathaurong people, on whose country this event takes place.